am happy to release to you the sources to my shell controls package. This package provides a set of Pascal controls and functions related to replicating different parts of Microsoft Windows Explorer program in your own native Pascal applications. 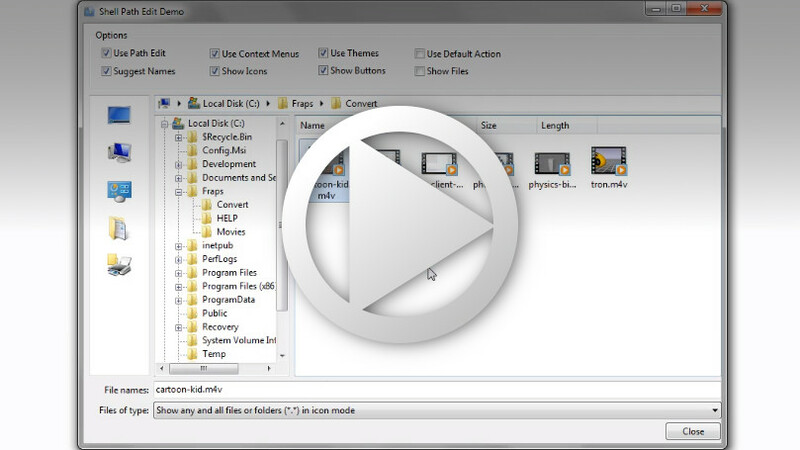 Key controls include a Vista style breadcrumb bar with drop down menus for navigating through folder and files. It also includes fairly complete shell view and shell tree view controls which might be more feature filled than whatever comes with Lazarus. I'm not sure because I haven't used them (the Lazarus versions). Please note: This package was originally created in Delphi, and as it is currently it will not build in Lazarus due to differences between the LCL and the VCL. If anyone cares to, you have my full blessing to convert it to work with the LCL, but please understand it will only ever work on Windows.